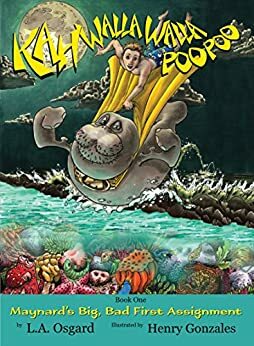 Maynard is a Mystical Guiding Manatee from the Island of Kahwallawallapoopoo and Jake, a young baseball player is Maynard's first assignment. Maynard show up one day in Jake's bat bag to give him much needed hitting advice, much to Jake's horror. They eventually become the best of friends and must work together as they are given an enormous task that could change the lives of everyone on the Island of Kahwallawallapoopoo.